Monument to Valery Chkalov is one of the attractions Nizhny Novgorod. 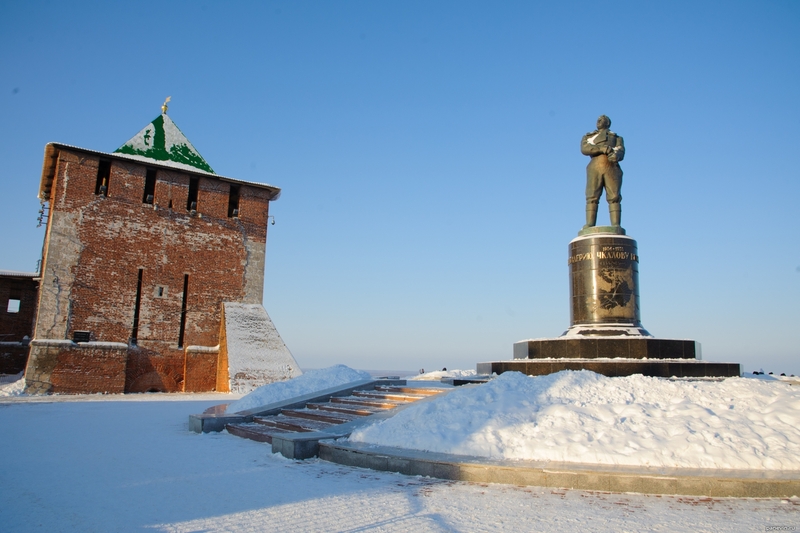 Pilot sculpture installed at the St. George`s Tower Nizhny Novgorod Kremlin on the second anniversary of the death of the ace, December 15 1940 of the year, sculptor I. A. Mendelevich, architects IG Taranov, V. C Andreev. On the pedestal under the inscription "Valery Chkalov to the great pilot of our time" was still "Stalin`s falcon". Blog, posts aircraft, attractions, monuments, Nizhny Novgorod, Nizhny Novgorod Kremlin, winter.